I love the time-travelling DC's Legends of Tomorrow. They often drop in a geek reference and many seem to be related to The Bearded Trio. 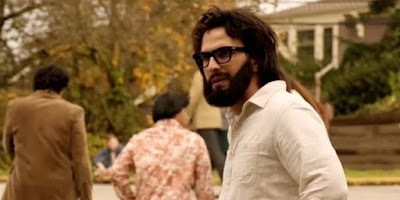 In season two we saw our heroes...sorry legends travelling to the 1970s to ensure a young George Lucas made Star Wars otherwise a string of consequences will see some of the team not having their powers. 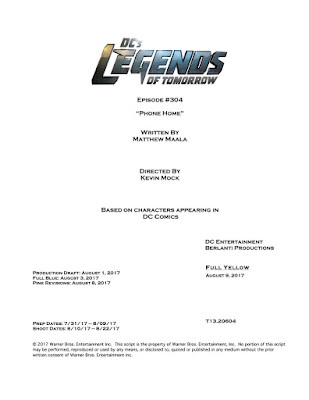 Well the new season looks like the trend will continue as series creator Marc Guggenheim tweeted the front cover of one of the scripts. The title has me intrigued. It's entitled "Phone Home." Of course this references Steven Spielberg's 1982 classic E.T. The Extra Terrestrial. Are we likely to see the team returning to the 80s where we see a young Spielberg wearing a Raiders cap filming the classic movie? A fan tweeted Guggenheim saying "All I can think of is E.T. Coincidence?" The Legends creator replied simply with "Nope!" 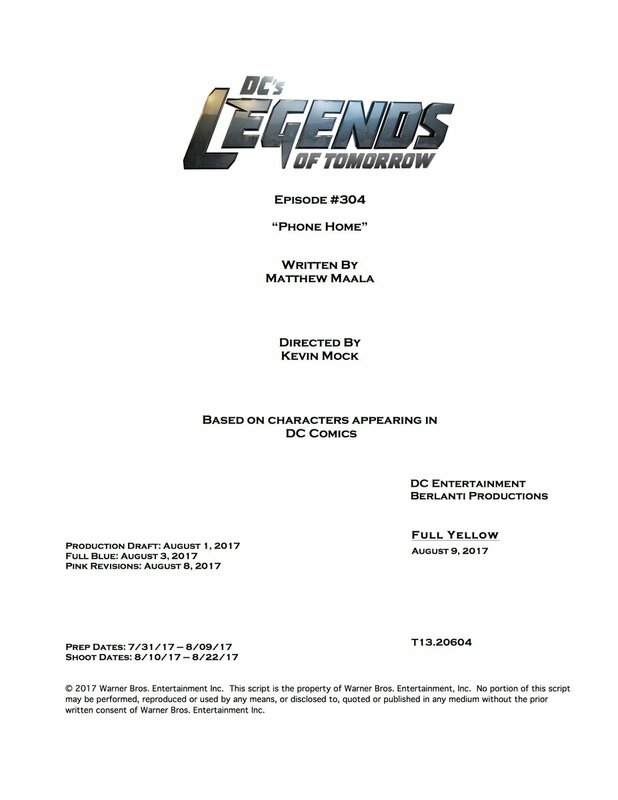 Returning to the CW for its third season on October 10, DC’s Legends of Tomorrow is a production of Berlanti Productions developed for television by Greg Berlanti, Marc Guggenheim, Andrew Kreisberg and Phil Klemmer.